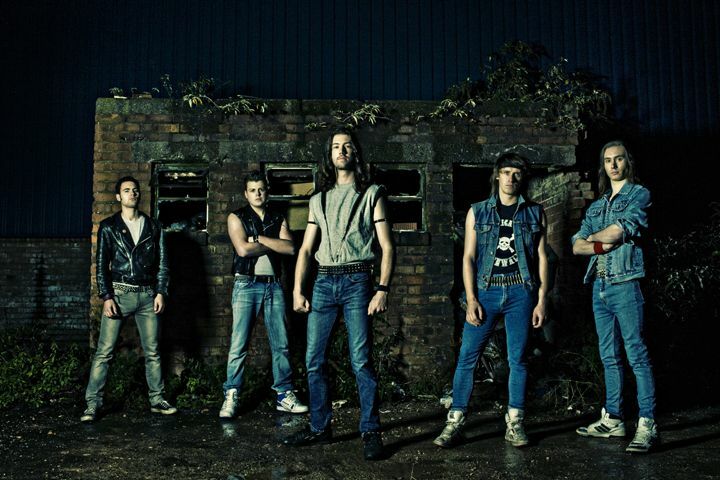 Clad in blue jeans and high-top sneakers, the guys of England's Dark Forest exude NWOBHM style. 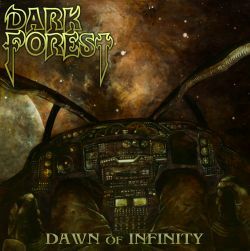 An up-and-coming traditional metal outfit, Dark Forest are set to release Dawn of Infinity, their sophomore full-length album of NWOBHM-inspired tunes designed specifically to bridge the gap between classic purists and contemporary power metal aficionados. Swirling twin-guitar riffs, thunderous double-kick, searing solos, and soaring vocals are the standard fare throughout Dawn of Infinity. Being a metal fan who simply can't get enough of that classic metal sound, tracks like "Hourglass" with its wicked, energizing riffs and catchy, anthemic refrains stand out as highlights of the album. "The Stars My Destination" follows suit and is remarkable for being the only track to add a keyboard to the mix. Just a touch, mind you, but used superbly. "Through The Glass" and "The Tor", the latter of which features a nice little bass lead, round out the most traditional moments of Dawn of Infinity. 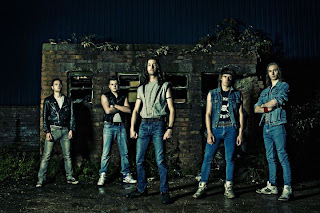 Listeners with an ear for a more contemporary power metal sound will most appreciate tracks such as "Green Knight", "Seize The Day", and "Under The Greenwood Tree". On songs such as these, Dark Forest takes on a distinctly Falconer-like sound with galloping Euro-metal riffs, strong bass lines, and upliftingly melodic leads. Frontman Will Lowry-Scott even adopts a cadence that, together with his robust lower-octave delivery, reminds me a lot of Falconer's Mathias Blad. Having said that, if Dark Forest has a weak links it's in the vocal realm. Lowry-Scott is a fine singer, especially for the style, but his comfort zone is definitely within the lower levels of his range. He oftentimes comes across a bit shakily when reaching for a sustained high note, though he absolutely nails a screecher on "The Stars My Destination". Altogether, Dawn of Infinity is a fun, traditionally-inspired slice of heavy metal that exhibits some outstanding musicianship, if but little in the way of originality. Sometimes originality is overrated, though, and in this case I'm pleased by the band's homage to the metal days of yore.